We never thought we would find a restaurant specialising in salmon out here, but then Beirut is full of surprises. 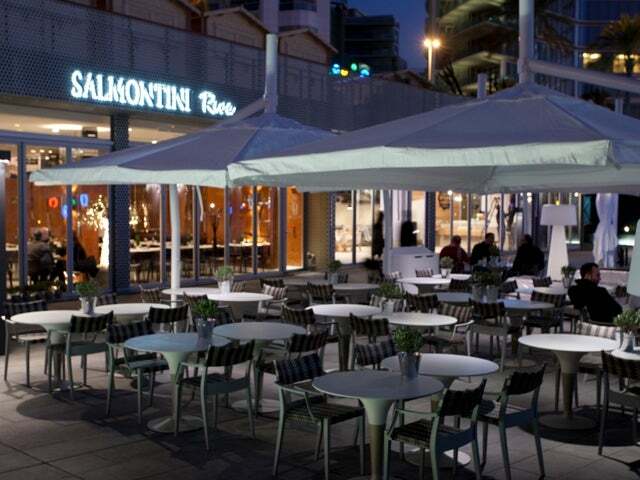 To give it its full name, Salmontini La Maison du Saumon, this is a temple to all things salmon. This classy restaurant-bar in Central offers dozens of versions of our favourite fish: baked, smoked, as a pate or a mousse, and stocks every breed from Royal to Pink, Atlantic to Pacific, not to mention Fresh Water. (We’d recommend you try the smoked since this is a speciality of the restaurant, and done Lebanese style, though they also have a reputation for some of the best sushi in town). Should you not be in the mood for salmon, despair not while there’s an undeniably seafood focus on the menu, there are plenty of other dishes available, generally leaning heavily on traditional French cuisine. Opened in 2000 by restaurateur Joe Bassili and entrepreneur Hussni Ajlani, and now part of a growing chain, it’s a venue dedicated to fine dining, a chic space decorated with art. An eclectic selection of champagnes and wines complement your meal, and there’s a plethora of delicious cocktails should you be in the mood. Unsurprising given the setting and the offerings, this place attracts a well-dressed, moneyed crowd, as the prices reflect the quality of the cuisine so don’t turn up looking scruffy or you’ll stand out a mile among all the expensive outfits. But trust us on this one, when food is this good, it’s worth dressing up for.